John Green is an American young adult author, and well-known blogger. Since his debut novel in 2005, Looking for Alaska , and his growing popularity with his frequent YouTube Vlogs, Green has become a well known figure to many teens around the world. Following books written by Green consist of An Abundance of Katherines (2006), Papertowns (2008) , and, in collaboration with fellow author David Levithan, Will Grayson, Will Grayson (2010). His latest book though,The Fault in our Stars (February 2012) could be debated as being his greatest work yet. Centring around the story of 17 year old Hazel who is living with thyroid cancer, TFIOS is a beautiful book about life, death, love, and friendship. As the story begins to revolve around Hazel's new friendship with Augustus, the overall atmosphere of the novel becomes beautiful, as young love blossoms in all its beauty and complicated simplicity. Green is so popular, I think, because of the way he connects to his audience. Not speaking down to them as so many young adult authors tend to do, Green writes intelligently but not over complicatedly - he respects his readers. An intensely touching novel, The Fault in our Stars brings to life the reality of first love, true friendship, and the value there is in the short time we have to live this life. One of the best young adult novels I've read so far, I'd give John Green's The Fault in our Stars a 9/10. 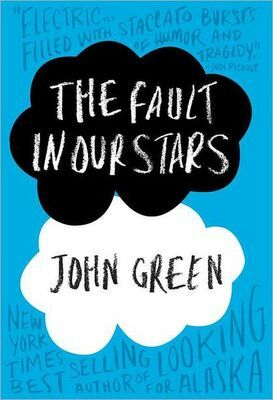 The Fault in our Stars by John Green, sells for $19.95 in most book shops. Why? Green writes intelligently but not over complicatedly - he respects his readers.